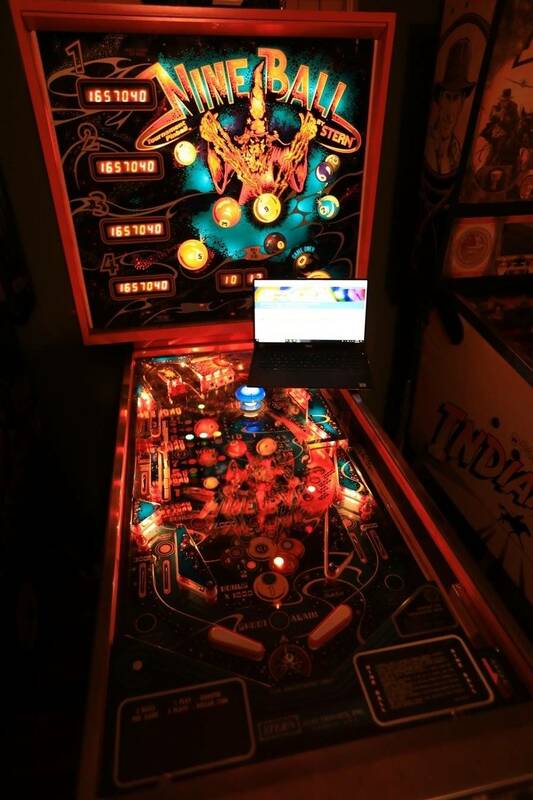 » Forum » All Pinball » Which is your bigger addiction? Pinball? Or Pinside? » Which is your bigger addiction? Pinball? Or Pinside? Which is your bigger addiction? Pinball? Or Pinside? Pinside at work, pinball at home. No. Wait. Pinside there too. Just have to take it easy on the nudging. There's no Pinside without pinball so ... pinball. but I go on Pinside everyday without fail. Pinside of coarse. Pinside at work. Pinside during quiet time at home. Pinside while waiting for flights. Pinside in hotel rooms,. O.K. that might me to much info! Pinside at work and Pinball at home! Variety on Pinside clears my mind and keeps me sharp for tech support. Some people are addicted to tranquilizers. I find reading pinside waiting for something exciting to happen in the world of pinball is a better way to get lulled to sleep. At work mostly, but still..
Pinside because of life circumstances. Kids, work, wife at this point don’t give me a lot of time to actually play. But I have time at work and a few minutes here and there surf pinside. Pinside. If I had more time I may say otherwise.....but I don't. So you could have a (in no particular order) Stern Army, WPC, classic B/W, early SS, Gottlieb EM, Wood Rail type pricing structure with all the bells and whistles included or omitted? Pinside, only because I live in Hong Kong and my collection is 8200 miles away in Mississippi! and then in the same breath so many posters ready to help each other and what's funny is most on here are in both camps! See. Pinporn. “do me, no do me”. Pinball normally but Pinside today with the IMDNLE for sale ad. Just when I think this place has gone to the birds, that thread restores my faith in the community. It used to be pinball, but pinside has been too easy to get into (it's the ease of access - on public transport, in the toilet, in bed, between TV commercial breaks, at work during breaks). 2 posts away from 22,000 in just a little over 5 years, I'd say Pinside. But my REAL addiction is my Mustang car, 48 years and counting. If they can build a Supreme pin, they can build a Pinside pin! they both feed the frenzy - a positive feedback loop - kind of like CO2 and water vapor. so every morning I look at the New York Times, the local paper here and Pinside to get the info I need to get through the day. And of course Monday morning after my 10:30 conference call I check the Top 100. Funny! Never looked at the top 100 weekly. Does it change much? Pinside check at lest once a day or every few days, still have one pin and might not play for more than a month besides my Pinball league I am in plays about every month. But I check the topics about pins and others I like beer, cigars, hockey, etc just fun talking or commenting about things you like. It's a pretty stupid question. To be honest I’ve used Pinside BEFORE I even got my first machine. It’s because of Pinside I’ve been able to get my games! OK, if I did this correctly you now have a poll.